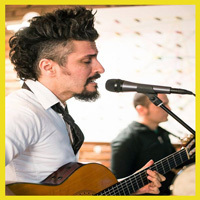 In 2002, Carlinhos moved to Los Angeles and quickly immersed himself in the Brazilian music scene there. 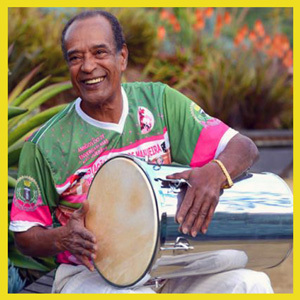 Carlinhos Pandeiro de Ouro,a Brazilian of African and Portuguese descent, is a percussionist best known for playing the pandeiro,and is one of the instrument’s major proponents. Born Carlos de Oliveira, Carlinhos grew up in Rio de Janeiro in the 1940s. He was immersed in samba, a style of music with roots in both Africa and Portugal. Its most famous expression is in the poor and working-class neighborhoods surrounding Rio, called favelas, which host performing associations known as samba schools. 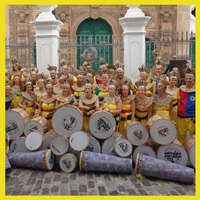 These groups compete every year in Rio’s spectacular Carnaval parade, with thousands of dancers in feathered costumes and hundreds of drummers playing samba rhythms. Brasil Brazil Show is an invigorating, musical experience Featuring Brazilian singers, Ana Gazzola and Sonia Santos, this show delivers the fervor, enthusiasm and excitement of popular Brazilian music with a variety of brazilian styles and rhythms . 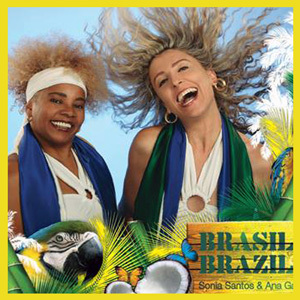 Internationally renowned Brazilian-born singers Ana Gazzola and Sonia Santos lead this exuberant group, which delivers the fervor, enthusiasm and excitement of popular Brazilian music. While performing the most well-known Brazilian standards,their contemporary arrangements present all the rhythms and faces of this colorful and tropical culture. The group specializes in Musica Popular Brasileira, a mix of classic and contemporary Brazilian music, spiced with authentic percussion instruments, africandrumming, funk and sophisticated jazz harmonies. Combining phenomenal energy and technique with a deep and abiding respect for tradition, each show is an emotional, dynamic musical experience. Angelo Metz started playing guitar at age of 6. Son of a music teacher, graduated with a bachelors degree in classical guitar from the Federal University in Brazil. 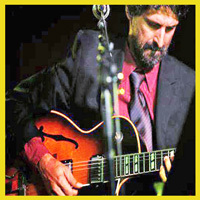 Angelo has also earned a Master’s Degree in Studio/Jazz guitar and a Doctor’s degree in musical arts from USC. With vast teaching experience Angelo has taught at all levels, from elementary school to university. 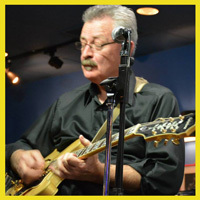 As a performer Angelo is an active solo/sideman/recording artist, having performed in hundreds of sessions and live shows. Angelo is also a respected electronic musician specialized in vintage analog synthesizers. Currently performing in the Los Angeles area, has appeared in places such as: Ford Amphitheater, Warner Grand Theater, Long Beach University, Cal State Northridge, Madri Theater, Alfred Newman Recital Hall, USC School of Music, Rose Bowl Stadium, Catalina’s Bar and Grill, Vitello’s, The Baked Potato, The Baked Potato Hollywood, PapaShon, The Gig, The Joint, The Lush, Coconut Teasers, The Whisky , Martini Lounge, 14th Bellow, Opium Den, Moondog Café, Fais-do-do, and many others. Has also performed in Europe and South America. I was born and raised in the state of Rio Grande do Sul, Brazil. My mom bought me my first acoustic guitar when I was 7 and I started taking lessons at 8 years of age, from a neighbor across the street . At 10 I got my first electric guitar and at 12 , during a winter break from school at my cousins house, I saw a catalog for a music school in Los Angeles, California called Musicians Institute. I knew right then and there that it was where I wanted to go. In 1995 , I moved to Hollywood to attend the Guitar Institute of Technology (G.I.T.). I became a professional musician in ’98 and since then, I’ve had the privilege of working with amazing artists, producers and musicians from all over the globe. I’ve toured, recorded and performed with Shakira, k.d. lang , Enrique Iglesias, Sergio Mendes, Airto Moreira and Flora Purim, Pink, Earth Wind and Fire, Keiko Matsui, Antonio Carmona and many others. I’ve written and recorded music for films such as Last Vegas, First Daughter , RV and Miami Vice and the television series Dawson’s Creek, Brothers and Sisters and Everwood. His mother searched high and low. In every corner of the house, under the beds, she would search for her young son. Then hearing a sound from the closet, she’d open it up to find three-year-old Frankie strumming on his late grandfather’s acoustic guitar. Yes, at just three years of age, Frank Piombo knew that music would play an important role in his life. I have released multiple HIT singles that I both wrote and produced. “Light Em Up” has gained the most attention with several remixes. I just released a remix of Light Em Up produced by Freddy Kaza from Brazil. Light Em Up has been very successful in Europe, especially France where it is being played on rotation every hour on Funk France Radio. My music can also be found on Pandora. Just one note… and you instantly know “That Voice”. A voice that melts like warm chocolate syrup over his growing legion of adoring female fans, who will tell you that “no one sounds like Will Downing”. Uniquely gifted with an unmatched arsenal of velvet lows and silky falsetto highs, few can challenge the growing belief that this versatile crooner is the rightful heir to the Smooth R&B throne. 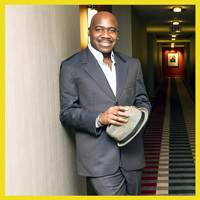 Blurring the line between jazz and classic soul in a musical era that often pushes style over substance, Will Downing has amassed a timeless body of work that has never forced his listeners to make that compromise. The consistent choice of classy style over flashy trends, have fueled the success of a 12 album-two decade long career, with millions of albums sold in countries all over the world. Recognized by the Grammy’s and the NAACP Image Awards for his excellence on the stage and in the studio, Will Downing is starting to become equally well known for his talents outside of that realm. Unbeknownst to many of his listeners, Will Downing is a noted and equally skilled photographer. His subjects of choice are his musical contemporaries whom he captures live on-stage or in candid moments behind the curtain. Ju Marciano is a professional Brazilian singer who has performed in the U.S. for 12 years playing over 1,500 shows. 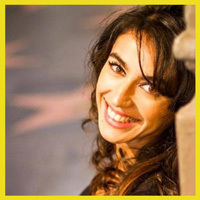 She started entertaining with her father at 5 years old and has played many styles through her career such as Bossa Nova, Samba, Pop Rock, and Country. In her surprise return to Brazil she reunited with her family singing in the famous TV show Caldeirão do Huck. Ju’s debut album “Tudo De Bom” is available on Itunes. DJ Lowkey first started his DJ career in 1985 in Albuquerque, NM at the R.S. Express Nightclub & the 2001 Afterhours before moving to Honolulu, Hawaii in 1986. During his first few years in Hawaii Lowkey continued to play on any occasion presented to him be it a keg party or nightclub, roller rink or college radio show or just hanging out in clubs around the DJ Booth.In 1988 DJ Lowkey began a 2 year residency at the TRAXX nighclub. By 1990 Lowkey was working at the C-5 club in Chinatown in Honolulu and in 1992 DJ Lowkey began interning at Radio Free Hawaii. DJ Lowkey also DJ’d at The Garage Nightclub as well as the Vybe in Puck’s Alley & the Jungle in Waikiki, under the tutelage of DJ & club owner Peter Bergstrom from Sweden. 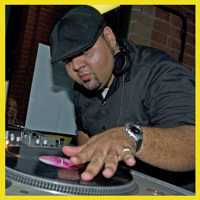 In 2011 DJ Lowkey then relocated to Los Angeles, California and held a Friday Night Residency at Kikafulo Brazilian Lounge and is very excited by the Moombahton scene. DJ Lowkey has also been booked to spin at the Famous ‘Good Hurt’ Nightclub the Brig in Venice, California. DJ Lowkey is now releasing a series of DJ mixes of Moombahton and are available for Free download on Soundcloud or Mixcloud. DJ Hymn’s innovative style won him the title as the ​Venice Beach DJ early on. He’s a true artist who has appeared on MTV, NPR, and Music Plus TV as well as hit shows American Idol and Step It Up. 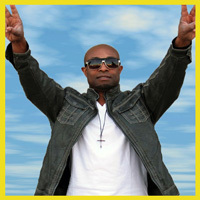 In addition to his appearances on television and radio, DJ Hymn has also produced tracks and remixes for George Clinton, Bizzy Bone of Bone Thugs n Harmony and T-Ray​​​​​ for a track featured on the movie Hancock starring Will Smith. Hymn has also been hired to collaborate and have his music featured on commercials for Puma and Ford Motors and has most recently been awarded winning title in the nationwide Scratch Whos the Ultimate DJ? Contest (Numark®) by world renowned accomplished music producers, Mix Master Mike and Quincy Jones III. DJ Hymn attributes his success to his strong musical foundation. He emerges from the East Coast as a shining symbol of the late 70s and early 80s great urban break-beat era, with eclectic influences ranging from Led Zeppelin, Van Halen, Run DMC, Bob Marley, Krs-One, Magic Mike, Busta Rhymes, James Brown and the Motown sound to Bassbin Twins, The Beat Junkies, DJ Dan, Fugees, Doc Martin, Chemical Brothers and Invisible Scratch Pickles. At the core of everything DJ Seduce does, is a restless drive to be both inventive & creative. Whether behind the turntables, in the studio, or putting together a variety of events, DJ Seduce is always on a mission to capture audiences in a way that sets him self apart from most in the entertainment industry. 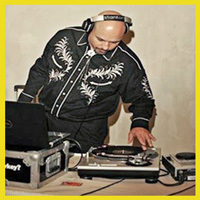 As a savy business owner, DJ Seduce is the creator and owner of “Afro: Baile Records”. The all Brazilian music label was founded in 2008, as a spin off of to the award-winning “Afro:Baile” event. Afro: Baile Records specializes in Discovering the “Now Sound” of Brazil. Along with producing Brazilian records, DJ Seduce is also the Event Director and creator of the two largest Brazilian Events & Festivals in Arizona. Both events, “Brazilian Day Arizona Festival” and “Carnaval do Brazil”, are geared toward producing and promoting Brazilian music, dance, art, history and preserving the authenticity of Brazilian culture. Afro:Baile Records is an award-winning Brazilian Music Label based in Phoenix, Arizona. Our mission, is to “Discover the Now-Sound of Brazil”! From Rio de Janeiro to Sao Paulo, from the Samba to the Bossa Nova, Afro:Baile continues to push the envelope in discovering some of today’s most modern and forward-thinking artists from all across Brazil. As part of Afro:Baile’s “discover the now sound” slogan, we are committed to promoting Brazilian culture in our community through events, festivals, concerts, education, performance and more. More than 10,000 people have attended Afro:Baile’s events since 2010. We have continued to gain not only local recognition, but worldwide recognition for our music artists & festivals, while attracting some of the biggest names in Brazilian entertainment. 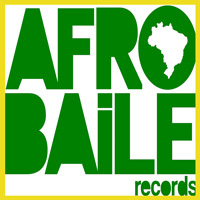 Today, Afro:Baile is internationally recognized & the only independent all Brazilian music label in the USA. Afro:Baile has garnered a worldwide audience that has helped elevate the label, the artists, and our festivals to a whole new level for Brazilian culture. From worldwide Radio Play, Magazine features, and interviews, Afro:Baile has managed to go beyond the norm in creating a unique and forward thinking sound for the next dimension of Brazilian music. We’ve performed at the Hollywood Bowl, The Dorothy Chandler Pavilion/Los Angeles Music Center, John Anson FORD Amphitheater, Club Nokia, Nokia Theater, HOME Depot Soccer Stadium, LA County Art Museum, participated in the San Fransisco Carnaval, Brazilian Day LA, Santa Barbara Solstice parades, the “TED” convention, CicLaVia, Venice Beach Music festival, Brazilian Carnaval Celebrations, Topanga Earth Day, Long Beach Mardi Gras, Queen Mary, Occupy LA and countless other concerts and events. We’ve also paraded and participated at numerous, socially conscious events like: Occupy LA, Greenpeace Rallies, CicLaVia, Numerous Earth Day events, “Unite Against The War On Women” rally, and numerous environmental events. Inspired by the work of our friend Mark Johnson and the “Playing For Change” project, we have created “Samba Da Mudança (Samba for Change)! Samba Da Mudança – Los Angeles. We focus on progressive arrangements and rhythms. Especially the “bloco” style of samba that is happening in Brazil right now. Artists like MonoBloco, BangalaFumenga, Marcus Santos and Trokobloco. 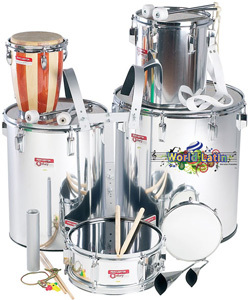 Of course we also do traditional Rio style samba. The concept of this group is to perform at outdoor festivals, parades, environmental and progressive events. Bringing positive change and energy through the power of music. We’ve also performed on Good Day LA, Good Morning LA, Channel 11, Channel 5, Telemundo, Univision, Galavision and other networks. 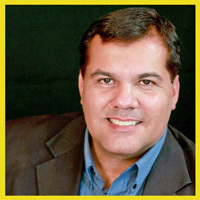 Mauro Blanco hails from Rio de Janeiro, Brazil, and has made Los Angeles his home, since the beginning of 1987. After studying music at Villa-Lobos conservatory, Calouste Gulbekian and Arte Música, in Rio, he moved to Hollywood to study guitar at the world-renowned Musicians Institute. Acting being another great passion of his, he studied theater at the acclaimed Larry Moss Studio, in Santa Monica, California. He has performed in independented films, including opposite of the legendary David Carradine, in the TV soap opera “The Young and the Restless” and has a considerable amount of credits doing voice-overs, dubbings and ADRs for films, TV shows, commercials and corporate videos, along with directing them. The love for storytelling, collaborating with great talent, camera work and all the technical aspects of behind-the-scenes led him to start writing and directing.